dualmon - Free Remote Desktop and Remote Support Software. Enterprise solutions to securely connect for remote access. any device for remote access and remote support. Simple, fast, and reliable — Free for Personal or Business Use. Paid plans just a fraction of the cost of other providers. A Remote Access Solution for all of your needs. For Personal & Professional Use. Work from anywhere or remotely administer servers. Maintain secure access all the time wherever you are. Providing support has never been more affordable thanks to our unlimited seats and deployments. Bulk discount pricing and unlimited user accounts make us the smart choice for large-scale implementations. 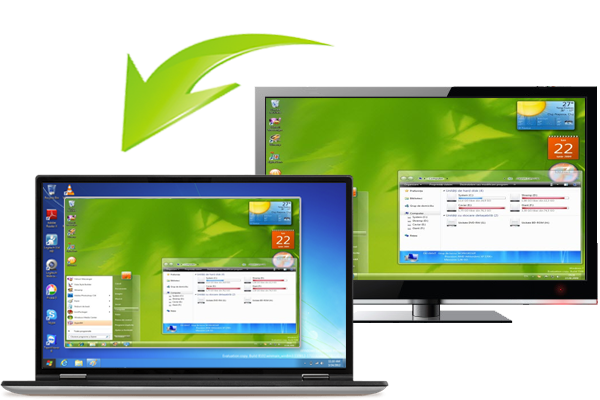 Remote desktop software that provides fast, secure access to your desktop, programs, and files. Access your desktop from any device, anywhere in the world. Print your documents from another computer. Enjoy peace-of-mind with an enhanced layer of security. Restrict computer access by location for added protection. Our free service always includes upgrades whenever a new update is available. View hardware details and system info, and keep notes about each computer. Screen sharing and remote control make it easy to identify and solve problems fast. Get out there and go - connect from your mobile device with no special app needed. Our streamlined web interface provides easy management and deployment of your computers. Provide support from any platform - connect from your PC, Mac, iOS, Android, and more. Always be available - we provide secure and reliable remote desktop software that support professionals expect. Support your users from anywhere. Diagnose issues and answer questions, wherever they are in the world. Chat with someone at the computer you're connected to without needing the phone. A fast download with auto-configuration will have anyone online in seconds. Large-scale licensing packages provide significant savings on remote access software. POS and Kiosk support - Maintain access to all of your end points from anywhere. Unlimited user accounts provide flexibility and access control across your entire organization. Enjoy access from any platform - connect from your PC, Mac, iOS, Android, and more. Always available - we provide secure and reliable remote desktop software that IT professionals expect. Manage thousands of computers from anywhere. Diagnose issues, perform updates, and stay connected. No setup or software required - attendees connect right from their browser. Scheduling is a snap - meetings integrate with Outlook, Google calendar, and others. Brighten up your presentations with screen annotation and other collaboration tools. Mobile attendance - participants can join the meeting from their phone or tablet. Save presentations for later playback by recording your sessions. Invite users from anywhere around the world to connect and see your screen. Invite others to view your computer. Give demos or provide training. Draw on the screen, grab snapshots, and record your presentations. Attendees can connect from a smartphone or tablet. Sync meetings with your calendar app and send invitations to others. Attendess have nothing to install - meetings are conducted in the browser. Review who attended by location, time, and duration. Save a video of your meeting to share for playback later. Our free plan is good for both personal and business use.